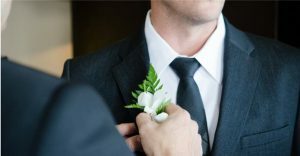 When men get married they usually have a best man, a man who has always been there and someone they hope will always be there. Lately I’ve started to wonder about the idea of men being their own best man. It’s an interesting idea to be sure and I’m not downplaying the importance of having really good friends or even having really good friends stand up and be a best man at a wedding. I want to honor and appreciate friendship. It feels to me like what happens in a man’s life when he realizes and understands that he’s got everything he needs for inner peace and outer success already inside him, he has confidence. It’s when you stop looking outside for guidance, insight and validation and start looking inward for the answers to life’s biggest questions that you’re seeking. And yes, every man (and woman) I’ve ever known has some inner questions they’re living with and longing to find the answers to almost all the time. Men’s confidence comes up quite a bit. This is why we look outside of ourselves for the answers so much of the time. We think other people have more insights, more smarts, more gifts, more of something that we somehow weren’t gifted with or can’t seem to access. Every single one of us men would do much better in life if we could just see that we could be our best man…far better than anyone else in our lives. We just have to look for the truth and look to our inner guidance instead of looking outward for the answers we seek in life. Does that mean we never ask for help or advice of others? Of course not. But to me, it does mean that I am knowing that my inner guidance guides me every step of the way to pick up the right book, take a course or talk to a certain person. I have more to say about this idea of being us men being our own best man in our lives but for now, just know that true love, peace, success, happiness, confidence or anything else you want in life starts from the inside. Not the outside.